Popular macOS and iOS email client Spark got a significant update. adding a unique feature to make it even more powerful for teams. There isn't quite an equivalent of the Mac's Preview app on iOS, but Apple still manages to give you powerful options for most of the work you'll need to do with PDFs. Apple may lock down iPhones and iPads more than it does the Mac, but despite the greater constraints, developers have managed to create Mail alternatives that are more compelling on iOS. 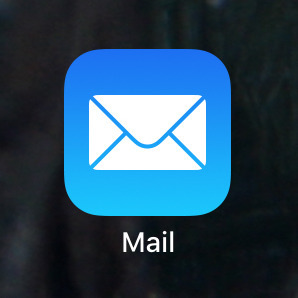 AppleInsider looks at what they've done and why you should try alternative email apps. Look beyond the standard email app to get more power features like converting messages into To Do tasks or calendar appointments. AppleInsider checks out the reasons to leave Apple Mail -- and the reasons to stay. You know those backup drives will fail someday -- but online backup services won't. Every minute of every day, your work can be preserved offsite -- and AppleInsider will show you how to start. Apart from one flaw that Apple keeps not fixing, the standard Mail app on your Mac has superb ways to help you manage your messages. AppleInsider works around the flaw and examines the power of automating your inbox. A former engineering manager on Apple's Mail app, Terry Blanchard, has left the company to play a key role in developing Readdle's Spark email client, according to an announcement. Apple on Friday said it is working to implement an in-transit encryption solution for its email domains, offering additional protection for iCloud customers sending and receiving messages from people using other providers like Gmail. Recent versions of Apple's Mail.app email client haven't been well received, leading to the release of a slew of alternatives. AppleInsider takes a look at how the company is trying to win back its users in OS X Yosemite. A report on Thursday claims Apple's email service, which includes @icloud.com, @me.com and @mac.com addresses, contains a "glitch" that prevents users from receiving correspondence sent through so-called "mail merge" services.